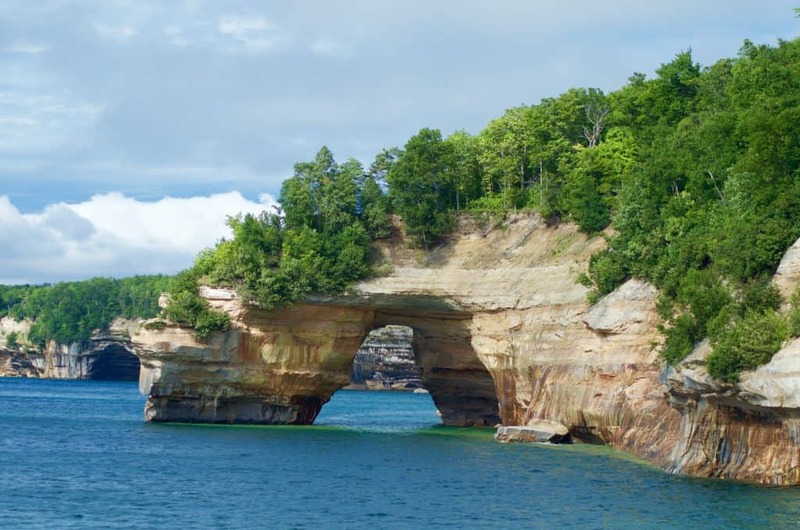 Share the post "2 MUST TAKE Cruise Tours in Munising, Michigan"
If you’ve never been to Munising, Michigan it is quite truly a gem! 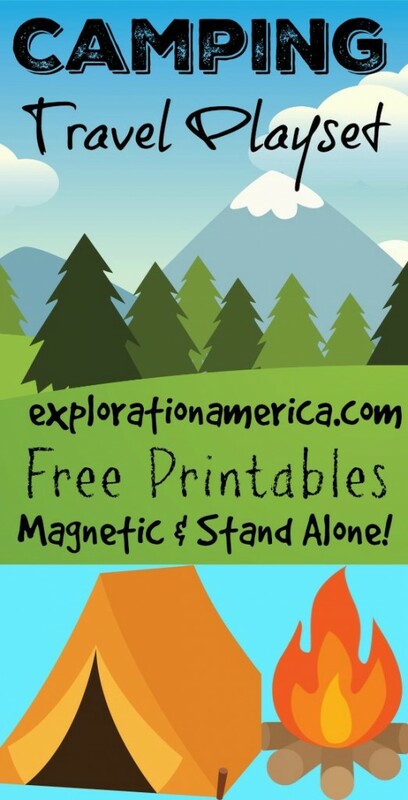 If you’re a nature lover like our family this absolutely MUST be a stop on your road trip. 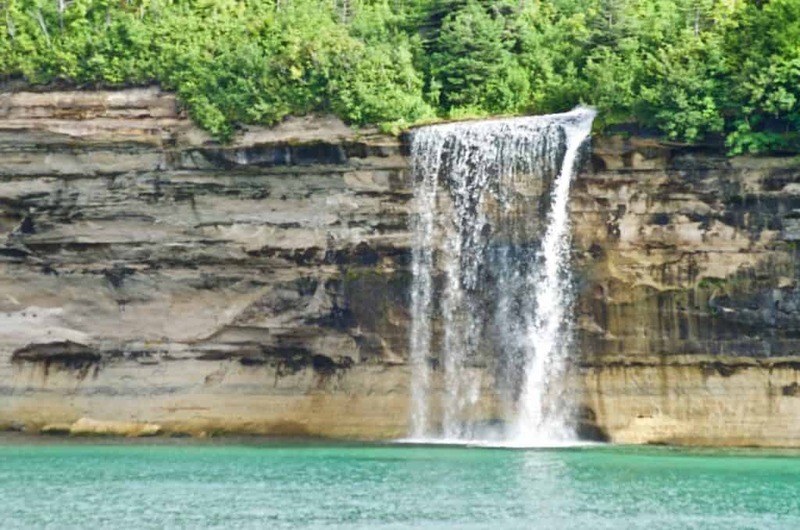 There are numerous waterfalls (and maps of these waterfalls in local businesses! ), beaches, and no shortage of nature. 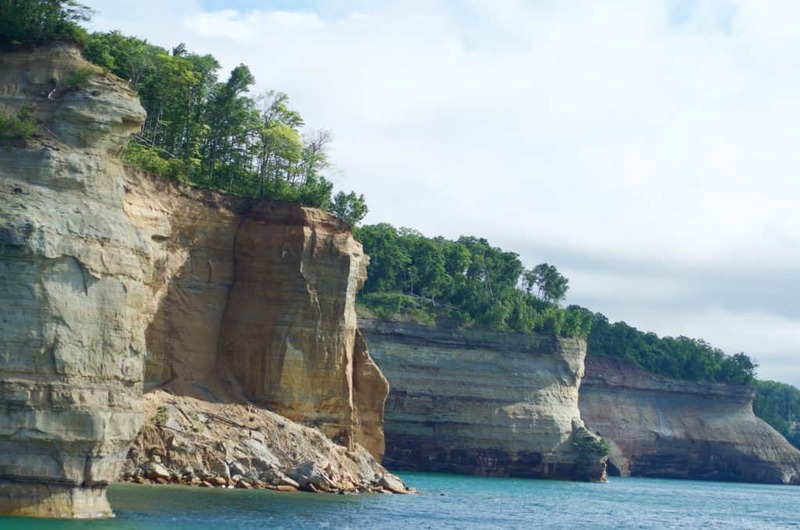 In fact Pictured Rocks National Lakeshore is right there and is one of the most beautiful places in Michigan – all 100 miles of trails, cliffs, beaches, waterfalls, and more! Definitely leave enough time to explore some of the area. 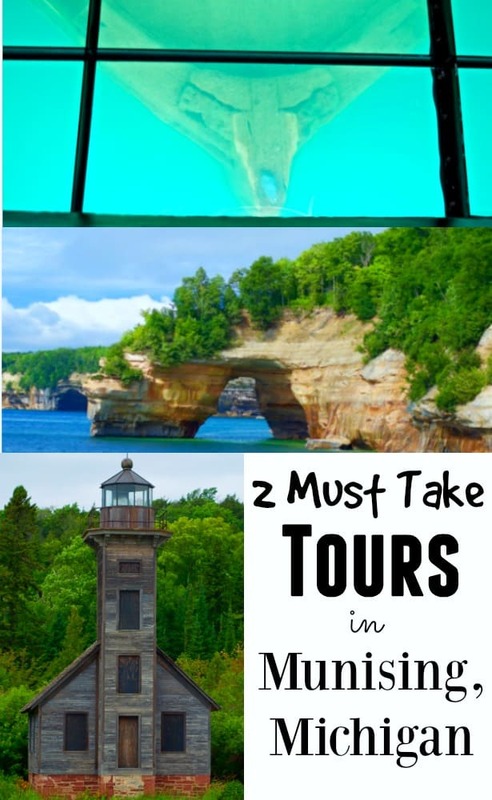 In fact these two cruise tours in Munising alone make it worth a road trip. 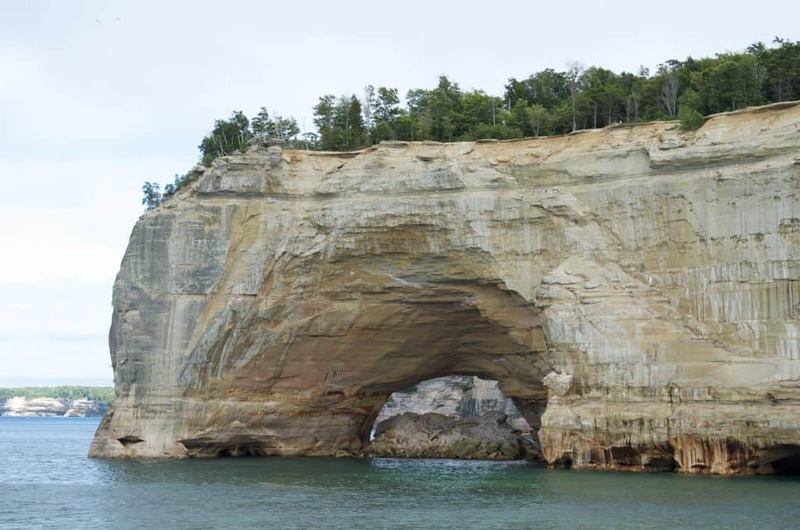 After spending many hours planning our road trip through Michigan we settled on two cruises in the Munising area – Shipwreck Tours and the National Pictured Rocks Lakeshore Cruise – both equally as beautiful and worth adding to your itinerary. Although I was a little hesitant on taking our active 1 year old on both cruises the same it ended up working out well! We started out our morning at the Shipwreck Tours in Munising off the shore on a dreadfully rainy day. 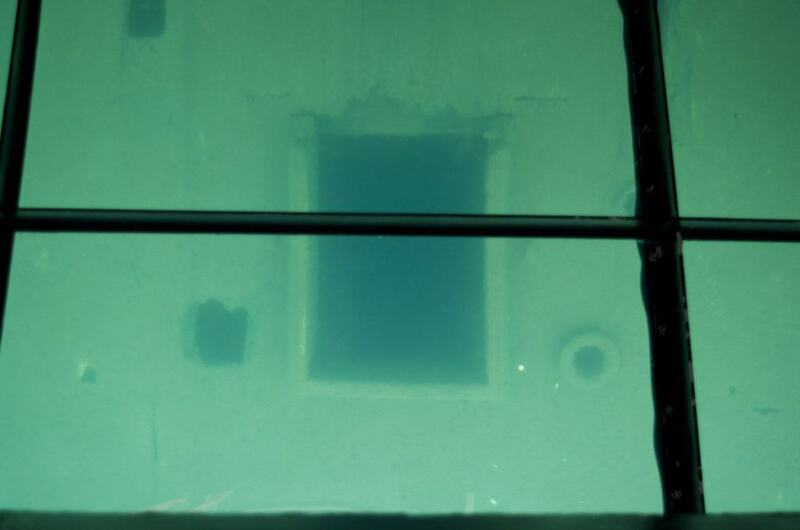 It couldn’t have been a yuckier day – but thankfully the tour boat was completely enclosed and kept us dry! 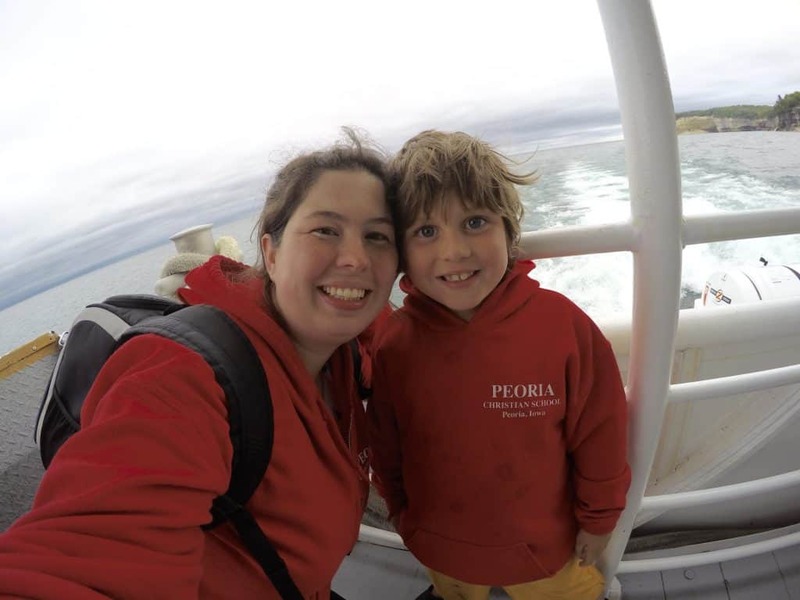 Traveling with a little one – I REALLY appreciated not being sopping wet and still enjoying this tour! 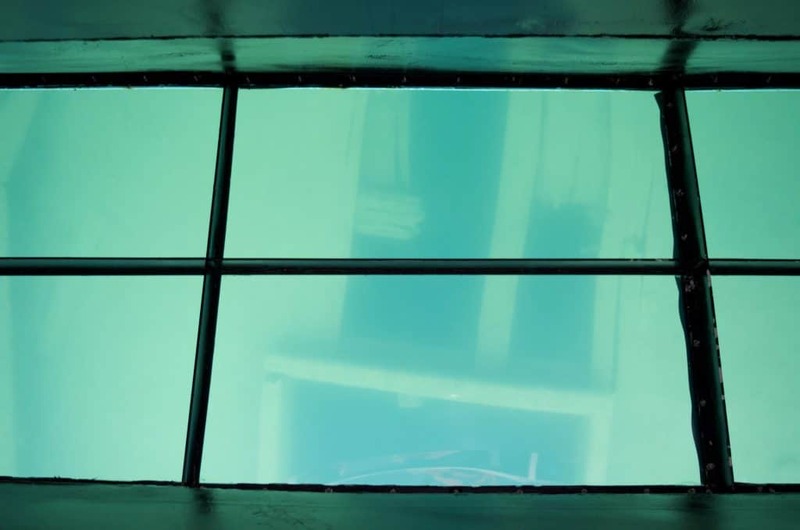 In case you haven’t heard about this cruise it is a glass bottom boat that takes you over various shipwrecks on Lake Superior. TOTALLY something our family went nuts over and a cool experience my boys will never forget. Seriously – how adorable are they?! 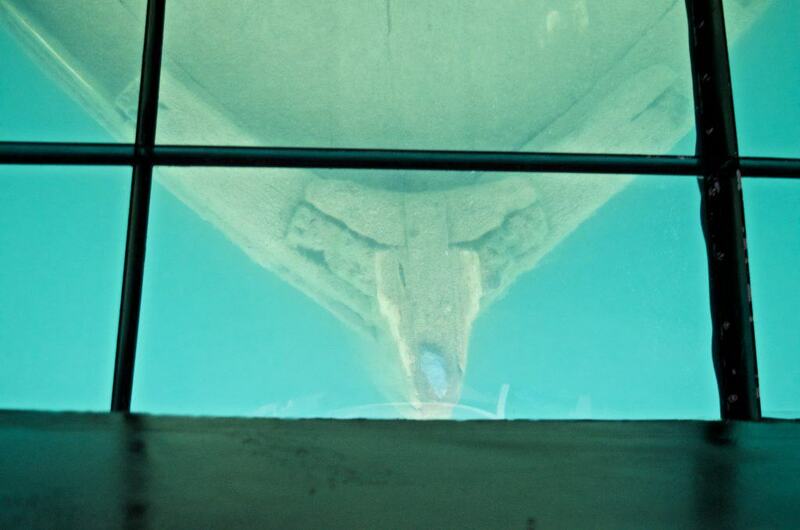 There are 2 very large glass bottom window viewing areas which meant we had more than ample opportunity to stand there for the entire tour and stare down into the water. You can see my boys above – they can’t contain their smiles and excitement! There was also plenty of seats available so my husband and I rotated with our 1 year old to keep her occupied. Unfortunately seeing sunken ships was not really high on her to do list that day but she did well enough. Viewing the shipwrecks really brought a surreal feeling. 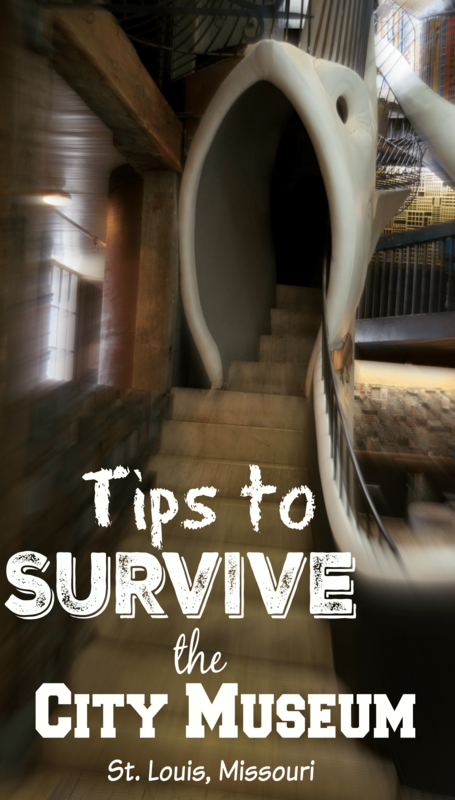 It’s something you might see in a movie – but in real life! What an incredible experience! 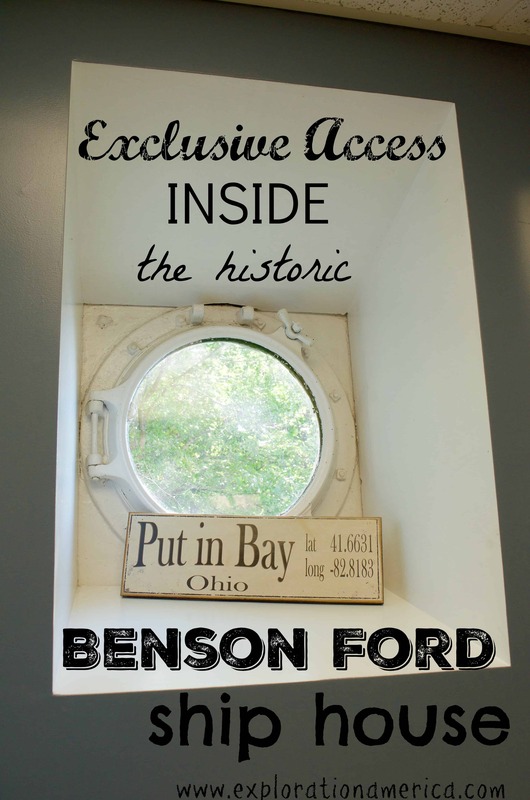 This one of a kind tour in Munising is one I’d go to every time I visited if I could! Not only did we view several shipwrecks but the captain shared with us the history of these ships, pointed out specific pieces of the wreckage to us, and explained patiently what exactly we were looking at as we stared down into Lake Superior. It’s definitely something I would want to do again! In fact some of these shipwrecks are just inches below the waters surface and open to snorkel to and explore! While boating around to the various shipwrecks we also passed this old and stunning lighthouse. 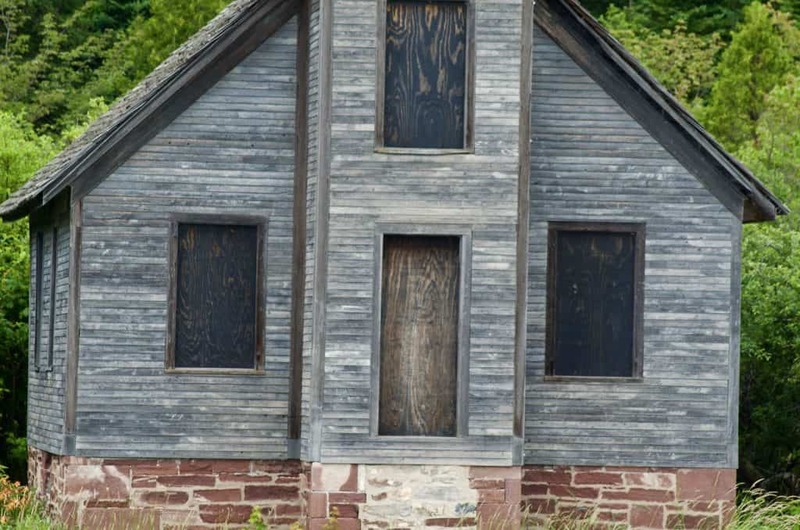 It reminds me of a little old schoolhouse – plus the beacon on top of course! 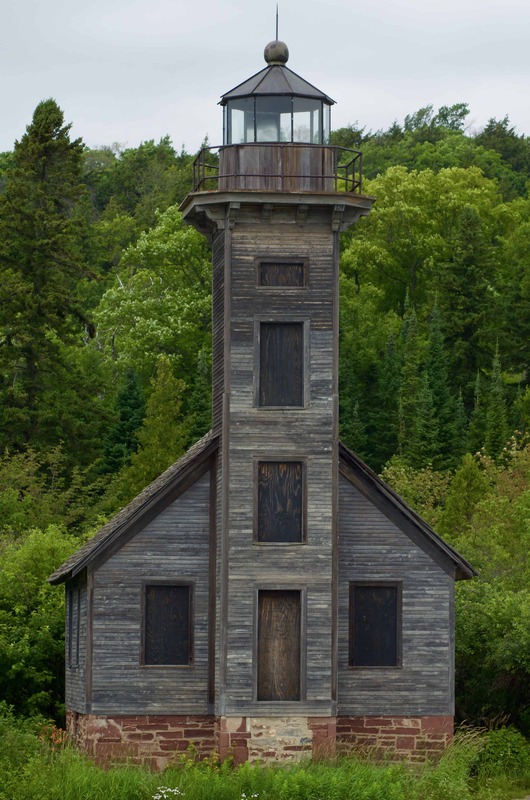 We actually saw this same lighthouse a second time on our Pictured Rocks Cruise which we took later in the day. We had enough time in between the two cruises to see a few waterfalls as well as enjoy Miner’s Beach. 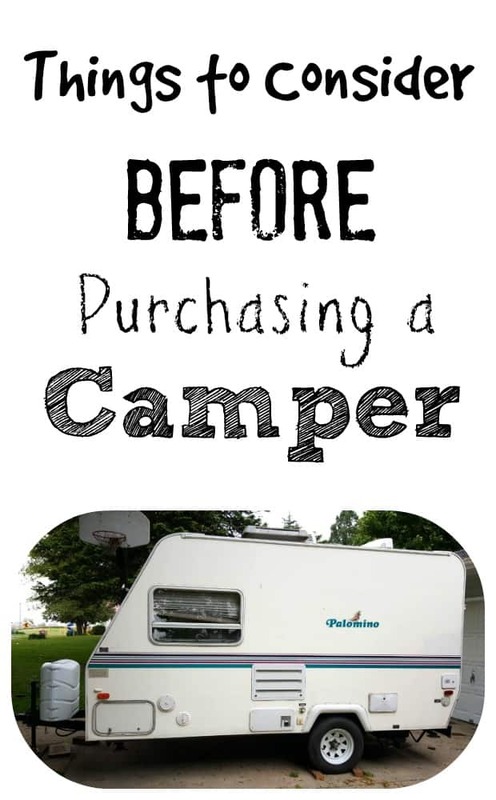 Make sure you check out our post on Miner’s Beach to learn about the secret you need to know before you go! 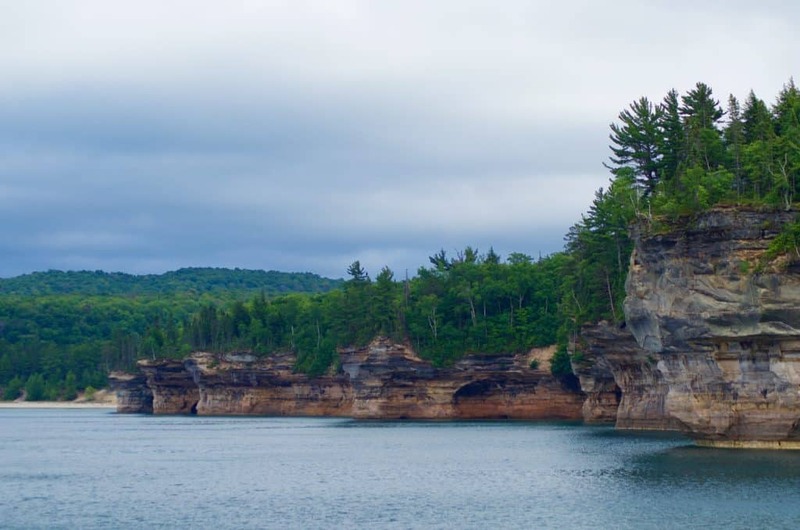 INSIDER TIP: Between the two cruises eat a picnic lunch at the covered pavilion right there on Lake Superior by the boat dock! 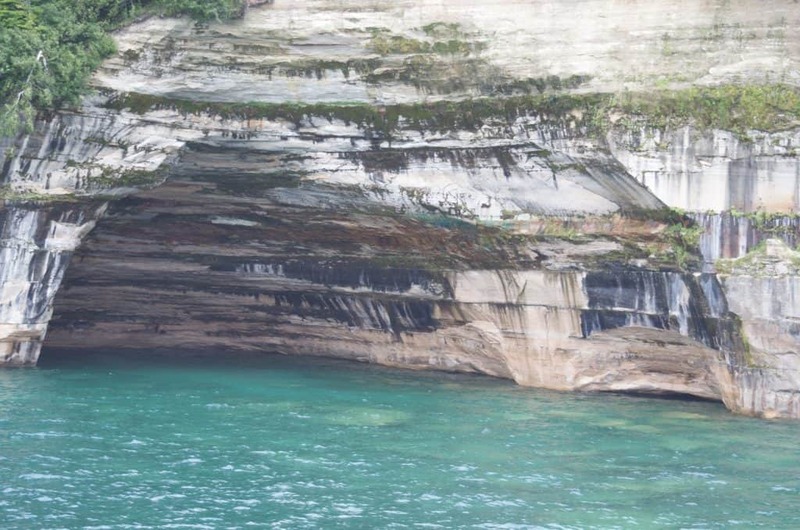 The Pictured Rocks Cruise actually offer several options for your cruise from the shorter cruise, a longer one to see an additional waterfall (which we did) and even a sunset cruise! The boat is much larger than the Shipwreck Tours and you can absolutely sit inside for the entire cruise if you’d like or venture outdoors! 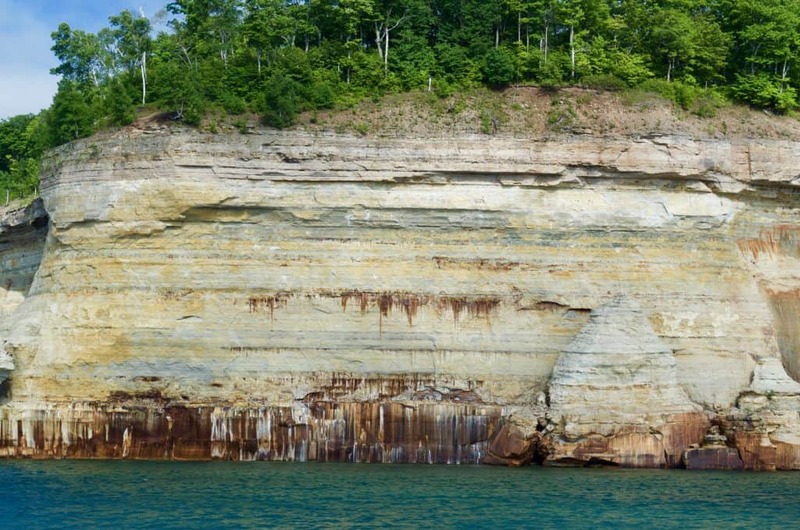 I LOVED the Shipwreck Tours cruise for it’s uniqueness but I came away totally in LOVE with the Pictured Rocks Cruise! It was stunning and picturesque! 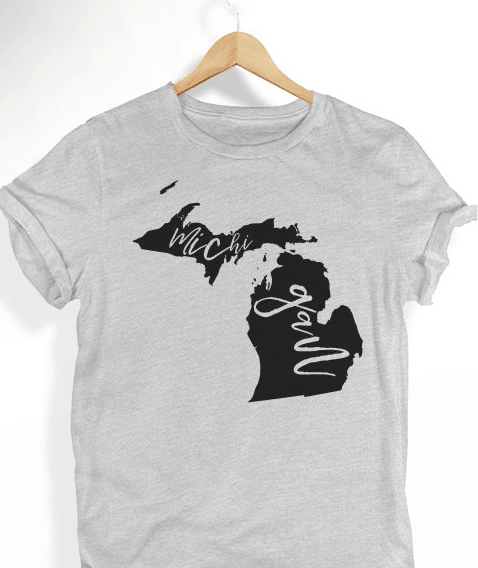 I didn’t feel like I was on Lake Superior in Michigan – I felt like I was on a coast somewhere! 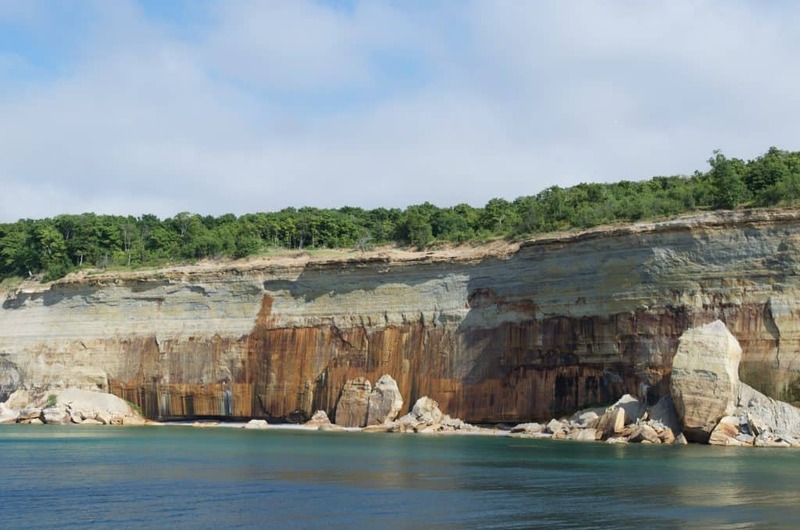 The cliffs and rock formations were just stunning. Now remember, I am a freak about rocks but look at that turquoise water! It was incredible! I just couldn’t believe it! 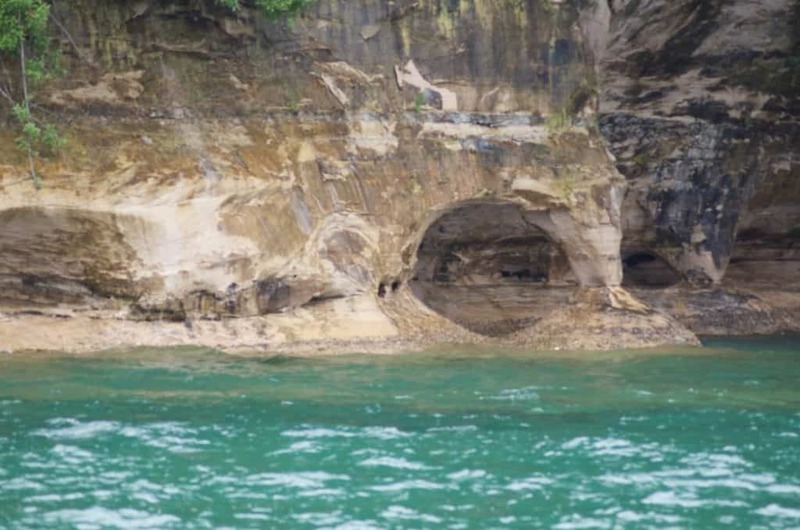 Sea caves galore! 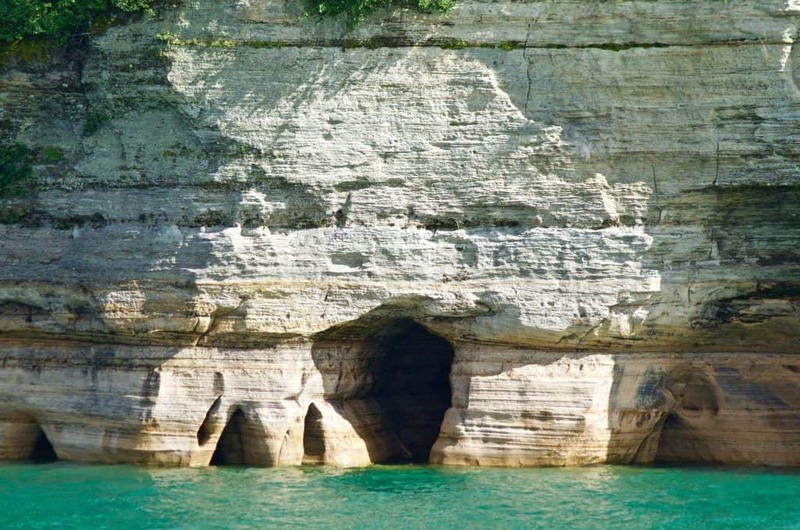 Someday when my kids are older, or if I ever go back without the kids, I’d love to kayak around the shoreline in and out of some of these “sea caves”. 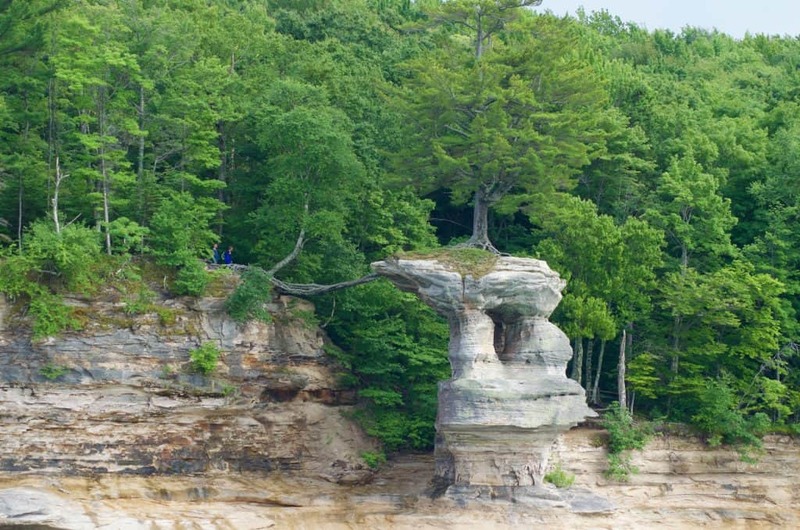 Above you can actually see the observation platform at Pictured Rocks National Lakeshore. They look like tiny ants! A word of caution, however, if you do decide to venture out on the lake in a kayak. 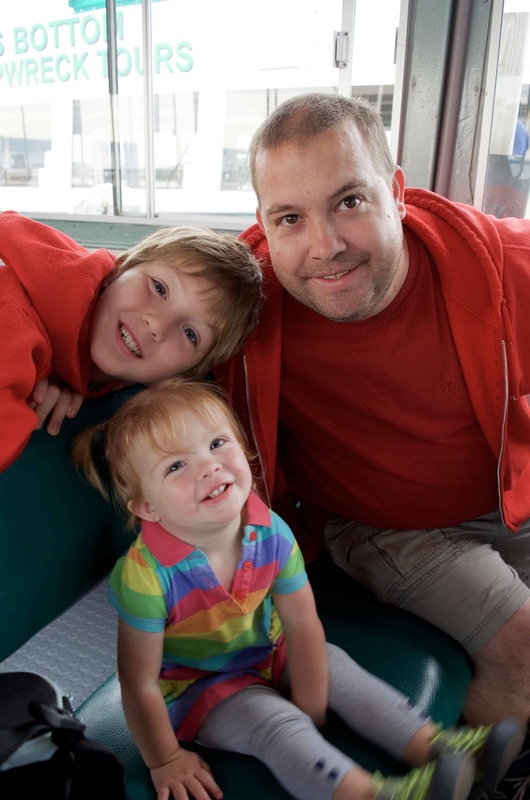 I absolutely would not bring my kids with me – even though we are an extremely adventurous family. The water can be insanely rough and the waves are astronomical. There were times I didn’t feel safe just wading offshore because the waves were so vicious. Definitely know what the weather looks like and understand it can change in an instant – know what you’re getting yourself into! The cruise was not only spacey and comfortable but also very informative. This was my favorite photo from the cruise! Doesn’t it look almost tropical?! I wanted to boat through that arch so bad! 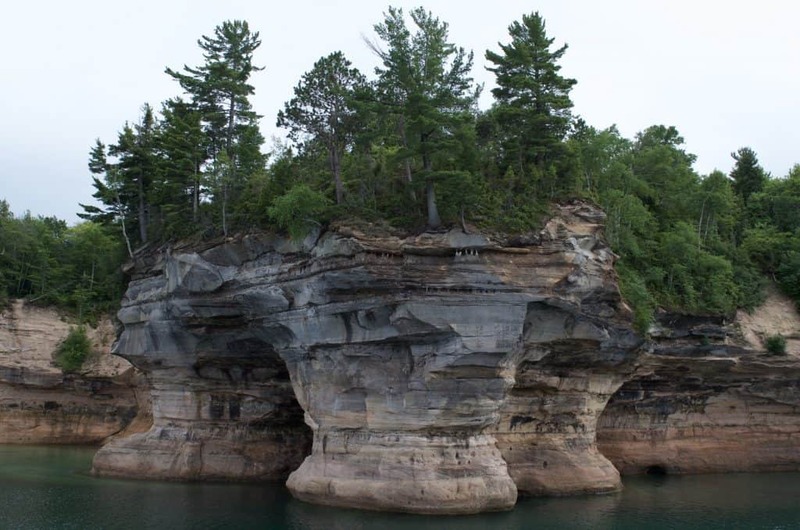 Many of the various formations and juts of the cliffs had names. We even passed closely by quite a few bird nesting areas! This here is Battleship Row – named for the cliffs that jut out in a row that resemble battleships coming out of the shoreline. Here’s a better view of Battleship Row. It’s a cruise I would have loved to sit through and just enjoy but when you have 3 kids in tow that doesn’t always happen! It was freezing cold and rainy the day we went but we still managed a pretty cute selfie! Remember how I told you we chose to go on that longer cruise to see the extra waterfall? This is it! This is Spray Falls which was neat to see. Is it worth the extra cost for this particular cruise as opposed to their regular one? EH – I’m a little indifferent on that. You aren’t missing much if you skip it and save the money but if you want a longer cruise than I’d go for it. The cruise was about 3 hours in total. This was one of the most fascinating formations – if you look very closely you can see that there is a huge section of tree roots growing across the stone formations like a bridge! 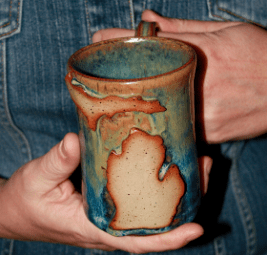 Overall – I loved both of the tours in Munising for two different reasons. 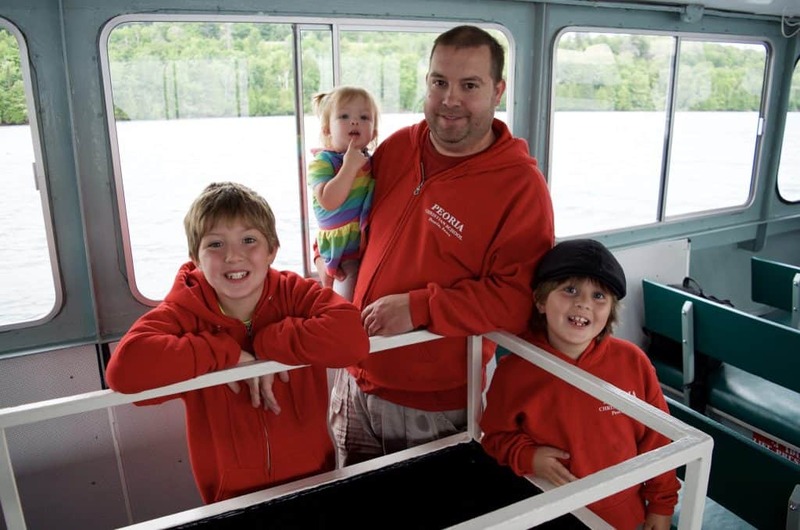 The Shipwreck Tours was more homey and is family owned. How often do you get the opportunity to see not just one shipwreck but multiple shipwrecks without needing to have a scuba diving hobby!? It was amazing! 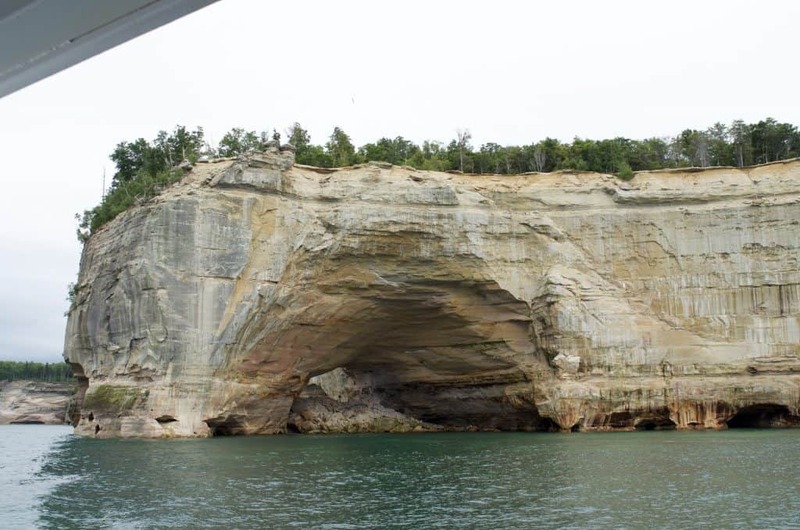 And you can’t beat the beauty on the Pictured Rocks Cruise! The scenic views were stunning! 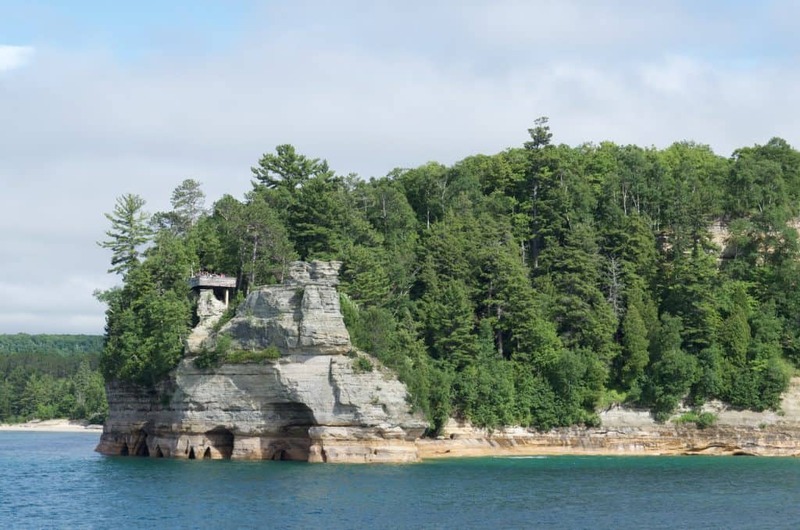 It’s a very relaxing tour in Munising and great for those that want to sit and take in the fresh air. Your pictures are quite stunning! 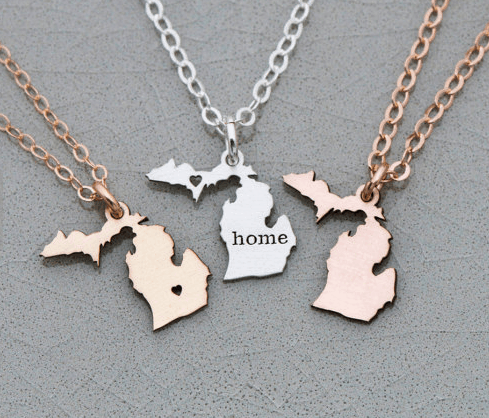 I’m glad I stumbled upon this site thanks to Pinterest =) We are actually headed to the UP of MI in two weeks, so your information is very helpful. I plan to follow your travels! Safe travels, and keep the pictures and advice coming . Totally pinning this! 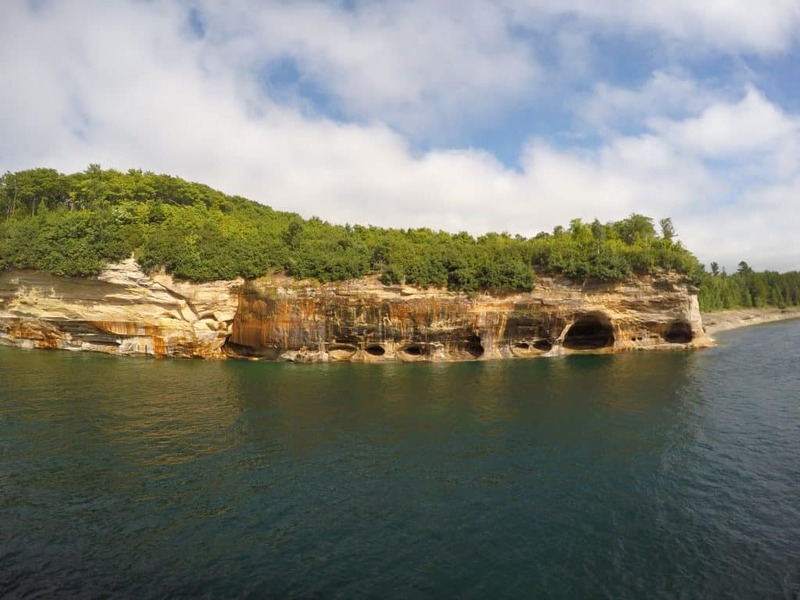 We’re going to do the Lake Superior Circle Tour in September and this looks stunning! Hi, thanks for this post, it is very helpful. I want to go this summer. Reading the shipwreck cruise it seemed like they also went to the pictured rocks, no? You don’t see that area at all with the shipwreck tour or you get more detail with the second tour? Thanks so much for any comments! Hey! Both tours are on the same lake but each tour goes different routes. 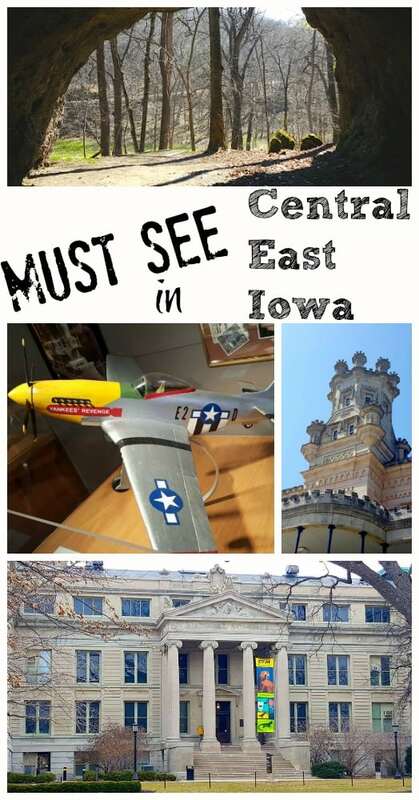 Some of the views are overlapped but each have unique places to see. 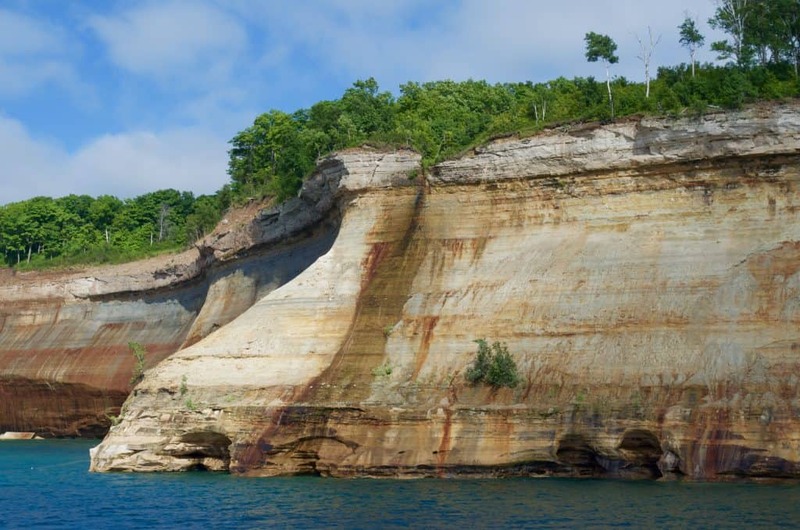 The Pictured Rocks cruise gets amazingly close to the shoreline (which provides killer views!) 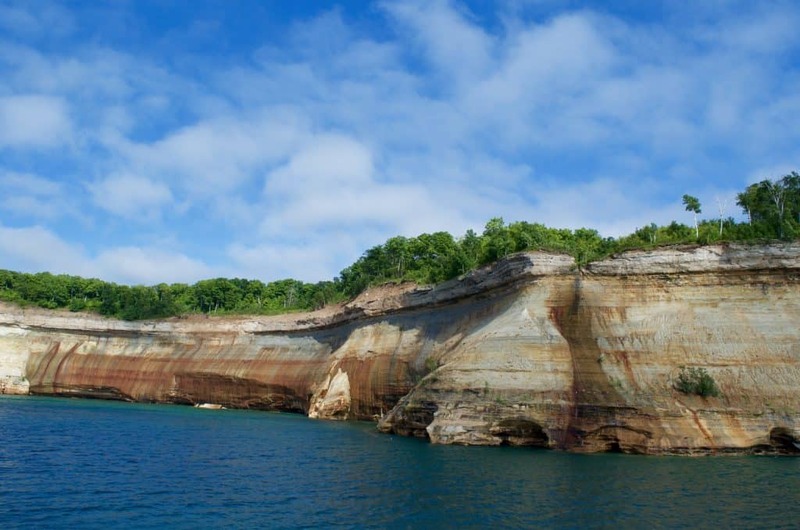 while the Shipwreck cruise tends to stay in the middle of the lake and to the other side of the lake. We saw the lighthouse on both tours but one got much closer than the other which was neat. Your pictures are beautiful. 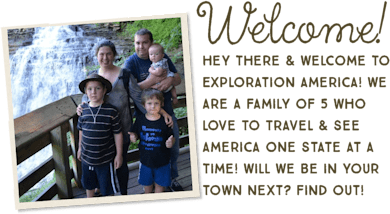 I am planning my family’s first UP experience. This boat tour is our #1 To Do. At what time of day did you take your cruise? We booked for 11 am but I am reading that afternoon is better for photography. Curious about your thoughts on the matter. Hi Wendy! 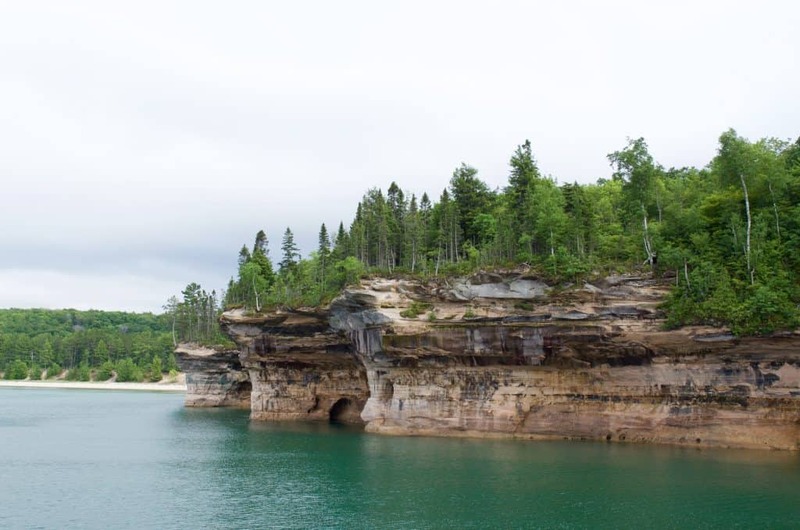 We actually booked ours around sunset for the Pictured Rocks Cruise and the Shipwreck cruise in the morning so we could knock them all out in one day and leave time for my toddler to nap in between! Yes that water can be SO scary! Were they down on Miner’s Beach? That’s the same area we had to get out of the water because of the current! We are very strong swimmers but I was pretty scared myself! I’d love to take a kayak out to the caves but after those rough waves offshore I am not sure anymore! I’m glad to hear they were safe. I didn’t hear of any local stories like you mentioned but that sounds intriguing! I wonder if you could contact a local historian or even the parks office and ask about that? Interesting for sure! I’m glad you shared it with me and will have to see if I can look it up as well!